When Susan Damon and her husband bought their St. Paul home a couple decades ago, invasive plants had a stranglehold. Now their yard is home to more than 100 species of native plants and a food source for an array of critters. 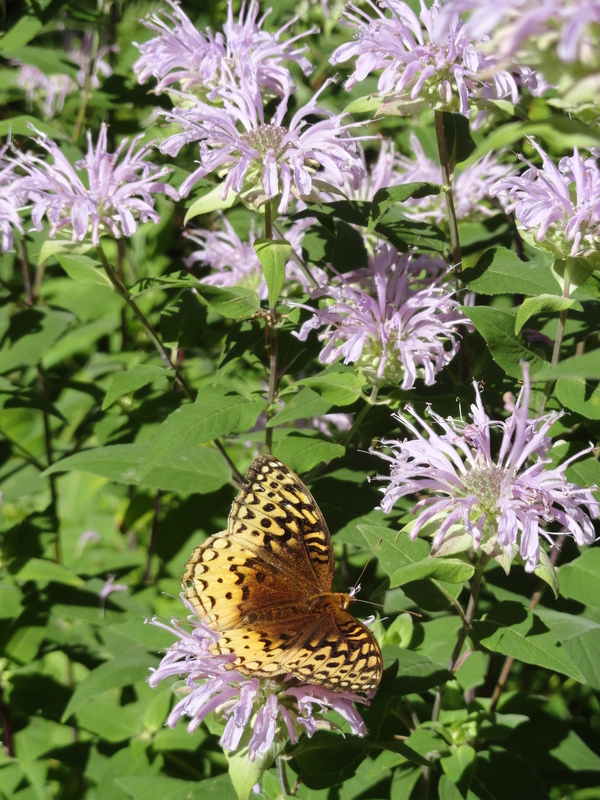 It’s proof that even city dwellers can create a welcoming habitat for butterflies, bees and songbirds. They replanted with prairie grasses, high bush cranberry and hazelnut, among other species. There’s almost no weeding — the natives crowd out the dandelions — and hardly any watering since some of the plants have roots sunk up to 10 feet deep into the soil. Damon estimates she and her husband have spent maybe $2,000 on native plants but adds that the yard takes care of itself with just a bit of cleanup and some thinning of plants in spring. She recommends six plants to get started — see the gallery below for more details. And click on the play button above to hear her talk about the joys of ditching the lawn and how to do it. Previous Previous post: Everyone Can help the Bees and Butterflies!